Anyone who has been in my office knows that I’m a list maker. Post-It Notes wreath my monitor. Reading lists cover my bulletin board. My first thought is that I do this so that I can focus on my work. Once I write something down, I don’t have to put any energy into remembering it and can just write. But when my to-do list gets too long, it saps my energy. It always starts out reasonable enough. I have my blog posts for the week, work for the courses I am teaching or taking, and my top two projects for the month. Then I spot a market listing for a manuscript I haven’t quite finished. Add it to my list. Then I read an article that reveals the fix I need for my novel. There’s another item added. Before I realize what’s going on there’s also a group of essays and a series pitch. Review larger goals. I begin with a review of my year-long goals. Maybe you have a five year plan or a list of resolutions for 2014. Whatever form your goals take, look at what you want to accomplish. Do these goals still make sense? If not, take a few moments to revise them. Assess your to-do list. Once you have committed yourself once again to a list of larger goals, evaluate your to-do list. What items help you meet those goals? Things that don’t may need to go away. Clean off your list. You don’t have to get rid of everything that won’t lead to your larger goals. For example, I keep my church blog and post on their Facebook page, neither of which helps me complete my dream book. But there important to me so they stay on the list. When numerous items don’t relate to your goals, something must go. Put other things on hold. You also need to look at what can be accomplished in a month. Anything that can’t, needs to be removed – for now. I jot these items on the bottom corner of my dry erase board or put them on a Post-It on the back page of my calendar. They aren’t priorities, but I won’t forget them either. Refocus your work area. Once I remove items from my to-do list, all related library books, files and articles need to come off my desk. I take things back to the library and refile a wide variety of material. It’s time to streamline so you can focus on your current projects. The world is a distracting place. Help yourself focus on what you want to work on right now, and you’ll be surprised by how much you accomplish. 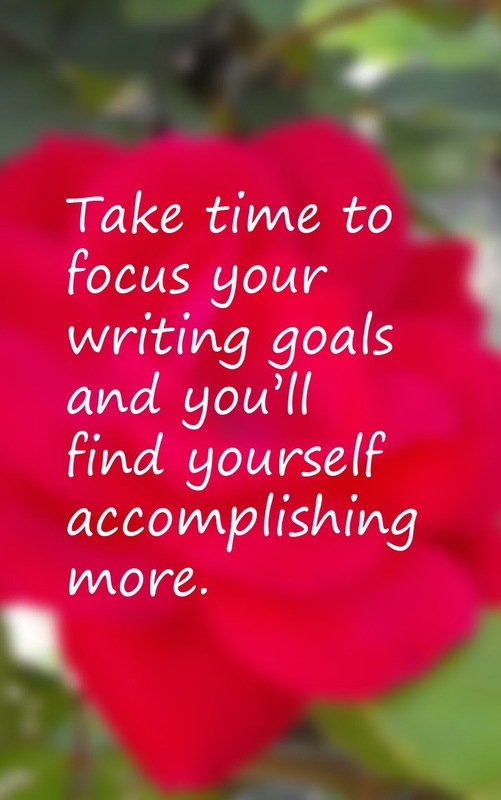 Find out more about author Sue Bradford Edwards and her newly refocused to-do list on her blog, One Writer's Journey. The world IS a distracting place, and so many things pull us (as writers). Thanks for the reminder, Sue. Great tips, Sue. And, very true. When we have too much to do, it becomes overwhelming. It's always best to prioritize. Thanks for sharing! Great advice. I have to add "be flexible" to my goals. I often get stuck and hyper-focused on my goals and need to remember that projects and ideas are subject to life's interruption and whims sometimes. Thanks for the clarifying thoughts!